My wife Miriam and me are big fans of AirBnB. We made use of its offers many, many times. Just like right now. We have just returned from an extended weekend on Malta, three full days packed with activities thanks to being a travel without our daughter (which whom our trip would have featured many activities, too, but of a different kind). The apartment was nice, and pretty much reflected what was exposed to us on the online photos. A skilful blend of mythical baroque and zeitgeist, created by a lovely gay couple. It all seemed good. We were happy. Till the curtain of night fell, providing an unexpected sonic experience: About the loudest and most trashy bar in Valletta happened to be located right underneath us. It felt like they were playing their bad music right next to our bed, along with its highly intoxicated guests yelling right into our ears. Touchbase with our landlords made clear that this what not the first time it happened (though they tried to appear it as so it was). The reason why this unexpected sonic experience is so remarkable is that the average rating of the apartment was a straight 5 our of 5 stars, for as many ratings as you could go back in time. There was only a faint hint in one of the reviews that it “might get a little livelier at night”, concealed like a tiny little needle in haystacks of bravado and acclaim. Why is this so? In a hotel, this would have been completely inacceptable, for sure. Guests would have brought this to the delighted review reader’s attention sooner than the owners could have said “sorry”. A thing that is truly striking about AirBnB is the skewed distribution of ratings: On a 5-point scale, anything that is lower than 5 points, even 4.5 points, is a no-go. At least that is my very personal experience. We’d never taken anything below that. It’s not hard to focus on 5-point rated offers, though, as they seem to make up more than 60% of all offers (disclaimer: Again, this is based completely on my own subjective experience of using AirBnB for years; it might not be a perfect sample, though). And believe me, we had more than one 5-star rated apartments that were not nearly as perfect as the ratings would suggest. Compare this to hotel reviews, e.g., on booking.com, and you see a completely different distribution of ratings, where ratings appear to be much more uniformly distributed across the rating range (though very low ratings are less common either). The guest thanks the owner for his hospitality and for allowing him to stay in his home. Think about that last sentence. In a couch surfing context, this inversion of the gratitude relationship would totally make sense. But with AirBnB, you pay for the service, just as you do with hotels. Most of the time it is not even cheaper, since you have to take care of breakfast yourself, plus have to pay a hefty commission to AirBnB (which, in case of hotels, is paid by the hotel, not the guest). Also, I happen to observe a significant change of AirBnB throughout the years, similar in nature to that of, e.g., eBay: Just like the famous auction marketplace, AirBnB started out as a pure C2C, or peer-to-peer, service. With maturity and the reaching of adolexcence, it changed towards a much more B2C-oriented marketplace, where veritable businesses market their service to travellers. So, in the last two years, we have seldom stayed in homes that were true “homes”. In > 90% of cases, we were enjoying a purely commercial service, where the landlord did not live himself in the apartment offered on AirBnB. For many of theses offers, AirBnB is just one channel among others (such as was the case for our Malta experience). So, there is not much difference in nature to the “hotel service” you get on platforms like booking.com and hotel.com. Still, people (including ourselves) behave very differently from how they behave when in a hotel context. Why is this so? 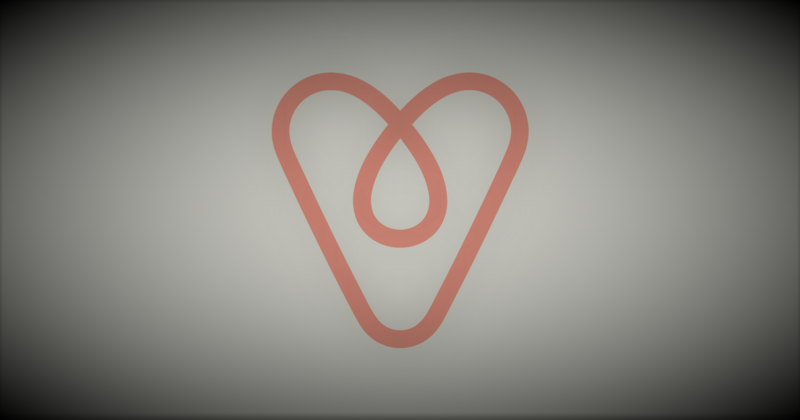 In my eyes, AirBnB does a very good job in making you feel you are in a close and warm relationship with the host (such as by asking you to present yourself to the host in a few words), a human being with a face rather than an anonymous hotel (guest house, apartment, whatsoever). You are taken by the hand and – will-you nill-you – led into a situation where you feel thankfulness and gratitude towards your host, as if he was housing you free of charge. And then, reciprocity kicks in, one of human’s natural aspiration to avoid cognitive dissonance: making you be kind as a result of being treated kindly: You can’t do any harm to that host made out of flesh and blood. You need to be nice. So you write a decent review. A VERY decent one. After all, that noise was not so bad, was it? We will still do AirBnB, for sure. We still like what we get there, the diversity and uniqueness that hotels can’t offer – it’s not the difference in price that drives us, which is lower than you might expect anyway. But the above cited inversion of social norms, leading to strongly biased ratings, among other things, makes AirBnB’s use ever more challenging. And it’s a social phenomenon in its own right. I’m sure social psychology will pick up on this. Interesting observations. Maybe we should run a little study on it. Will keep it in mind as a possible bachelor thesis.